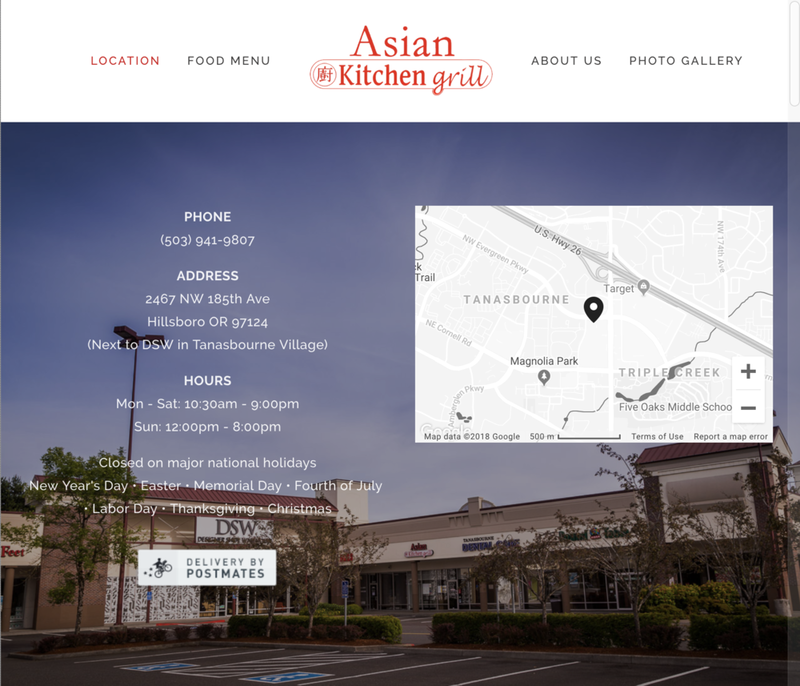 I started eating at Asian Kitchen Grill when I moved into the neighborhood in 2013. The two people who run it are some of the nicest people you've ever met, and the food is delicious. Back then, I occasionally picked up food to bring to family, and I wanted them to try AKG food. But there was no website or online menu for them to browse in order to pick what they wanted. So I suggested to Ken and Marisol that they needed a website. And that I could help them with that. 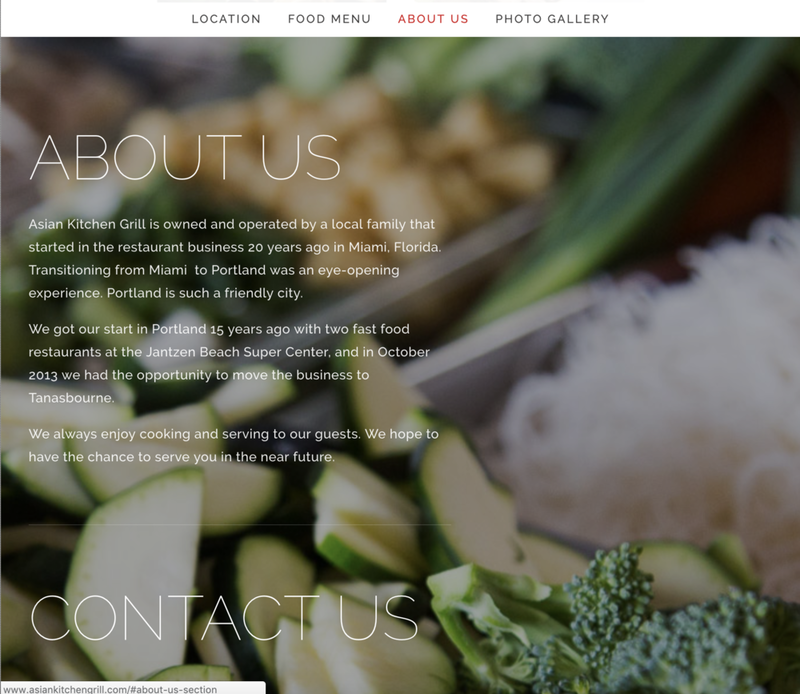 So we shot the food photography, a quick video, and built their Squarespace website. I've been working with them ever since.